Remember when I mentioned that my next recipe post would be one that was created by hubby? Well, folks your wait is over. Here is what Mr. Kale-a-holic came up with; Kale Wrapped Shrimp sautéed in wine and garlic. Since introducing him to kale about a month or so ago, he just can’t get enough of his new green leafy friends. We both love shrimp so when he suggested it, I knew I had to make his kale dreams come true. This was perfect timing for a light healthy shrimp recipe. This past Saturday, I registered with Weight Watchers. I love to cook and love to eat just as much. I knew it was time to take my health seriously and to do something about it. I am a former Lifetime Member from back in 2006 so I know this works. Does this mean my adventure in the kitchen stops? Absolutely not! What it means is that I’m embarking on a whole NEW adventure as I focus on healthier cooking not only for me but for hubby too. Without further ado… here is hubby’s Kale Wrapped Shrimp with Couscous. In a large skillet, add the garlic, wine and 1 sliced green onion. Heat to medium heat then add the three kale leaves. Cover and steam 3-5 minutes on medium heat. Remove from pan but leave the wine mix in it. Lay out the kale leaves. On each add 1/3 of the sliced mushrooms and 5 shrimp. Sprinkle with Mrs. Dash seasoning. Wrap the kale leaves around the shrimp and mushrooms and tie with cooking twine, making them look like green mummies. In a medium saucepan, add the water and bullion cube. Bring to a boil and add the couscous, chopped spinach, chopped mushrooms and onion. Cover, remove from heat and let stand 5 minutes. Turn the skillet on medium and lay down the kale wrapped shrimp. Cover and steam 5 minutes until shrimp is cooked. Serve with couscous and your favorite veggie. I used french style green beans. I think he needs to start his own food blog! I am very impressed with his recipe creation skills, and this one didn’t even include his standard addition of bacon. I’m really starting to notice the versatility of kale and the endless possibilities you have with it. With the shrimp steaming inside the kale leaf and the Mrs. Dash seasoning, it was amazing. Kale wrapped shrimp goes on the “make it again” list. If you’re curious on the Weight Watchers PointsPlus value on this, it was 3 points per serving for the kale wrapped shrimp. Not too shabby. I had a side of green beans (0 points) and a cup of the couscous (4 points). With meals this good, I can do this!! If you’ve been through Weight Watchers, what kept you on track? 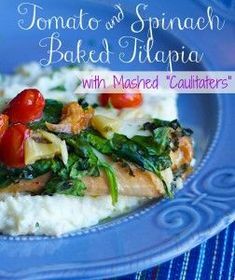 For more Fish & Seafood recipes, follow my Fish Pinterest board. You can also follow my new Weight Watchers recipe board filled with many tried and true recipes from other members. 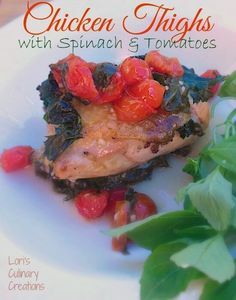 Follow Lori’s Culinary’s board Weight Watchers Recipe Ideas on Pinterest. What a neat way to combine ingredients! Yum! Kale ROCKS, right? I’ve used it so much lately. Thanks for stopping by! 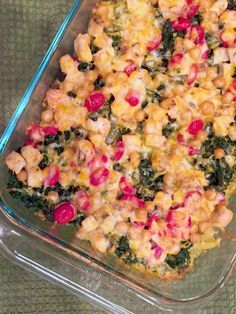 I love this use of kale… such a fantastic idea and I bet soooo good! Kecia recently posted…Super Simple Slaw!